Senate President, Dr. Abubakar Bukola Saraki has said that he was not bothered by the scathing criticisms that have been trailing his political activities in recent times, especially from his home state, Kwara, by some opponents whom he described as mere transit politicians who have threatened to wrestle power from him in the 2019 general election. He described the threat to defeat him and his associates in the next year's elections as an empty threat. 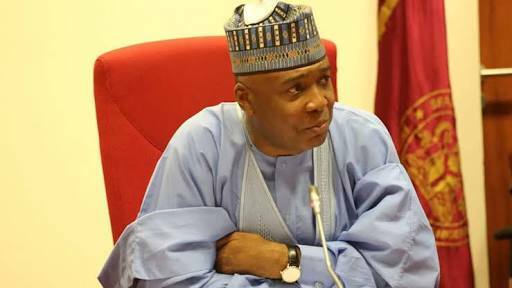 Saraki explained that his ability to live with the people of Kwara, understand their problems, coupled with his decision to assist them in solving personal problems irrespective of whether there is an election or not, had been largely responsible for his electoral victories and dominance of the political space in the state. He gave the explanations last Sunday in an interactive session with journalists when he paid a visit to the state secretariat of the Peoples Democratic Party (PDP) in Minna, Niger State capital to solicit the support of the party's stakeholders. He, however, stated that he was not bothered by the scathing criticisms that had been trailling his political activities in the recent times, over his defection to the PDP with some of his colleagues at the National Assembly and his followers in Kwara State. "Some of my political opponents in Kwara State whom I liken to mere transit politicians have nothing good to offer the vast majority of our people at home in Kwara State and I am very sure the people are not stupid and they will not be swayed to be on the side of these highly mobile politician who are in the habits of migrating to Kwara State few months to elections and quickly go back to their stations shortly after the elections because they are perpetual losers while our people at home know some of us who are truly their friends and who are always around them and always prepared to render assistance to them in order to alleviate their sufferings. "In fact, every time we go for elections in Kwara State, that is what the opposition will say; that the Sarakis are not relevant and I am not surprised about their antics, they have been saying this thing for over 16 years in the state, so let them continue to say it. But the funny thing about politics in Kwara State is that some of these politicians; who want to be relevant by attacking us are transit politicians, after the elections they will pack their bags and baggages and go back to wherever they have come from. And about six months to the next elections they would come back; they would print posters, they would look for journalists for interviews in an attempt to announce their arrivals in the state in preparation for another elections," he stated.